In yesterday’s posting, I shared how our grandson found his “bear in a tree.” It was literal as he carved his bear out of a tree trunk with a chain saw. I use the term, “bear in a tree” to represent a God-given talent that each of us has. Our grandson found his talent out of curiosity and the use of a chain saw. 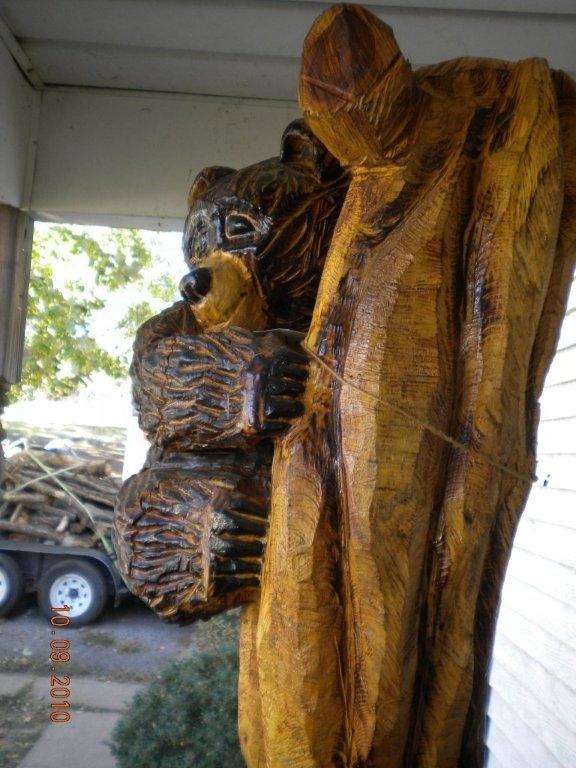 You may not have to use a chain saw to find our “bear in a tree,” but you might have to be more aware of an idea or a curiosity that may lead you to discover your talent. You might find it in plain sight. I carried the notion of writing with me most of my life. Now, that notion is a reality. How much talent do I have? We’ll find out. Lauren, thanks for this! I got some great ideas from Butch. God bless you abundantly. You’re welcome…I just loved this message and I’m glad you benefited, too~Blessings to you, Caddo! I love this too – thanks for posting it, Lauren!